Disputing a debt can be one of the most frustrating arguments especially when you are owed money. Unpaid debts cause misuse of time, cash flow problems and unnecessary stress and anxiety. Debts need special attention. However, many people do not have the necessary resources or time to resolve unpaid invoices or chase payments. In the current economy, businesses cannot afford to spend time and resources on immense operational processes to recover a disputed debt. Instructing debt collection agencies that guarantee fast retrieval of monies owed cannot provide a business with other services such as litigation or mediation should the dispute escalate and result in a Court Judgement. Law firms and solicitors are always the best option to ensure your debt recovery is successful. 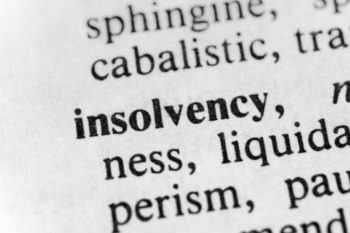 At Bloomsbury Law, our debt recovery solicitors are an integral part of our dispute resolution and commercial litigation departments and have years of experience in debt recovery. Our top debt recovery specialists have a streamlined process which resolves debt recovery for our clients in the most efficient and effective way possible. Our expert debt recovery team have the knowledge and expertise to support all your needs in pursuit of payments. Can the debtor can pay the debt? Once the above is established and Bloomsbury Law is instructed, we will send out a letter before action to let the debtor know of our involvement on your behalf. If the debt has still not been paid, we will contact the party directly by telephone. If all communication avenues have been explored and all response received has been futile, we will start discussing the possibility of court proceedings. We understand debt recovery can be a frustrating and stressful but please note it is of the upmost importance to contact a specialist debt recovery solicitor to receive expert advice and to provide you with all options available to you in contrast to a debt recovery collection agency. If the case does result in court proceedings, our debt recovery specialist can refer the case to our expert litigation team. Our litigation team have years of experience dealing in financial disputes, so please call us with confidence.